Social Networking sites…The NEW “Internet Dating Scene”? Have I recently missed the memo on the new internet dating sensation, or is it just that Twitter, Facebook, Redbook, Blackpeople Meet, eHarmony, Craigslist, etc., all seemed to have reached higher heights on the dating plateau? Within the recent months, Nowadays people don’t feel the need to leave their homes, because the next “cyber fling” is only 1 click away. Social networking sites have made internet dating way too convenient for even the most shy, timid, who surf the internet, to become lackadaisical & anti-social. What happened to the good old-fashioned days where boy meets girl, take her on a date, girl falls for guy, & the rest is history? Anybody can become whomever they choose to be, when hiding behind a computer screen. Predators can become prey, the guy-next-door is a serial killer, prostitutes become Top Models, and the scumbag’s are movie producers! Statistics show that over 6,930,055,154 people are in the world (population est. 2011), and 2,095,006,005 are internet users (up 480.4% since 2000). The point is, at the rate of these SNS forming everyday, will it create an atmosphere where one won’t find the need to coexist in the “real world” because it would become completely obsolete, an replaced with a cyber world? 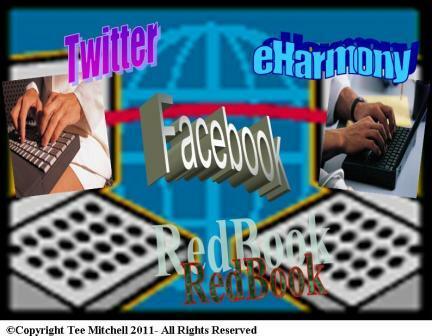 Posted in Entertainment, Love, Relationships, & Dating, Media, Technology and tagged Anti-social, cyber world, eHarmony, Facebook, Internet dating, Relationships, social networking sites, statistics, Twitter, web surfing, world population. Bookmark the permalink.